What does the Year of the Dog have in store for your love life? When it comes to love, the Year of the Brown Earth Dog has pleasant surprises for some signs ... but stern warnings for others! Either way, 2018 invites everybody to take matters of the heart seriously, exchanging carefree dalliances for serious commitments. See what this stabilizing time has in store for you by reading your Chinese sign's horoscope below! Learn about all the Astrology affecting your love life this year with your personalized 1-Year Love Forecast now! The Year of the Brown Earth Dog is ideal for domestic Rats to settle down with that special someone. You're a creature of habit, but if you're willing to change your routine to accommodate a love interest, all will be well. For the Rat who already has a partner, 2018 is a good time to set healthier boundaries between your personal and professional lives. Although it will be a challenge for your diligent sign, scaling back work commitments for the sake of a partner could cause love to flourish and grow. 2018 is an ideal year for the you loyal Oxen to make a serious romantic commitment. Although Oxen dislike change, you'll welcome the opportunity to shed your single status for the sake of an attractive love interest. Online dating can be successful for the shy Ox, who really doesn't like to put themselves out there. For you Oxen who are attached, it's vital to use the Year of the Brown Earth Dog to make lofty plans with your partners. Join hands and make a wish. You enticing Tigers should have no trouble attracting love in the Year of the Earth Dog, provided you put yourself on the market! Admirers are often shy about approaching your sign, convinced you must already have a partner. Tigers who announce a desire for romance will fare very well. Artistic venues are especially good places for your creative sign to meet someone special. Attending concerts, plays, movies, and painting classes can result in love connections. If you're a Tiger in a committed relationship, you may feel you're enjoying a second honeymoon throughout 2018. 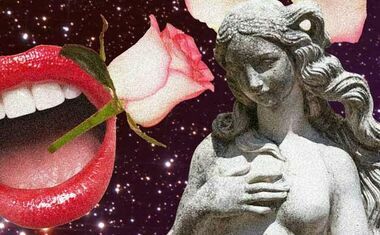 You shy Rabbits can find love easily in 2018, provided you are willing to love yourself. The more you bolster your ego, the faster you will find an adoring partner! 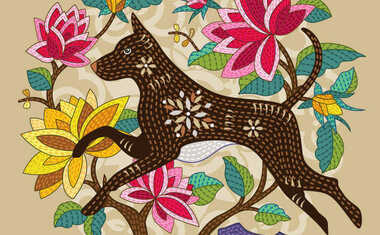 The Year of the Brown Earth Dog has a grounding, practical energy that allows people to be themselves. Therefore, you anxious Rabbits won't feel compelled to put on an act to attract a soulmate. Rabbits that are already in relationships should take a direct approach to love. Open, honest communication will help love flourish for attached Rabbits. How will your love life play out this year? Find out with a 1-Year Love Forecast now! The confident Dragon may have to try harder than usual to find love in the Year of the Brown Earth Dog. Being too picky or demanding can diminish your romantic prospects. Rather than demanding perfection, adopt a more open-minded attitude toward prospective partners. Learning to fall in love with an individual, rather than a fairytale ideal, could be your greatest challenge this year. Dragons that are already in relationships should practice patience, tolerance, and compassion throughout 2018. This is not the year to issue ultimatums. There will be several romantic prospects for you sensual Snakes throughout the Year of the Brown Earth Dog. Snakes that want to have tremendous romantic success should be prepared to release past relationships. Dwelling on an ex can block a more appropriate partner from your door. Single Snakes should also fight feelings of jealousy, which only inhibit promising partnerships. 2018 is a great year for Snakes in relationships to exchange vows, buy a home, have a child, or travel the world together. You timid Horses must venture out of your stalls to find love in 2018. The Year of the Brown Earth Dog is a social time. Single Horses that make the round of parties and introduce themselves around will be successful in romance. For you attached Horses, this year brings a wonderful opportunity to let bygones be bygones. Forgiving each other for past transgressions will allow you and your partner to make a fresh start. Relocating to another town, downsizing lifestyles, or spending less time at work can all cultivate harmony. The Sociable Sheep may be challenged to find love in the Year of the Brown Earth Dog. Although you will be content to hang out with friends, the prospect of forming an intimate relationship may not be tempting. Instead of forcing yourself into the dating scene, you may prefer to enjoy platonic relationships for the foreseeable future. Sensitive Sheep that have partners, however, will fall deeper in love than ever before. 2018 may involve lots of candlelit dinners, moonlit strolls, and passionate embraces. Eager Monkeys will have plenty of opportunities for love in 2018. Instead of rekindling past loves, new romantic interests will make their way into your life. Playing the field is a strong possibility for much of the year. Then, as the Year of the Brown Earth Dog winds down, you can decide which admirer best suits your needs. If you're a Monkey who's already partnered-up, work hard to curb your faults. Monkeys who commit to being better mates will experience exciting breakthroughs. The Year of the Brown Earth Dog should be lucky in love for single Roosters. Your flamboyant sign will attract admirers wherever you go in 2018. This is especially true if you -- the hard-working Rooster -- stop spending every spare minute at work. Meeting friends, going to parties, and enjoying vacations can put you in the path of romance. As far as attached Roosters are concerned, this can be a time of reconciliation. Rather than imposing standards of perfection on your mate, use this time to be more generous and compassionate. Loyal Dogs could find past love affairs revive in 2018. 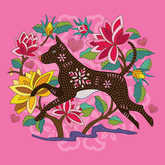 The Year of the Brown Earth Dog invites you to forgive old transgressions and make a fresh start with former mates. Single Dogs that are looking for someone new may decide to steer a friendship into romantic waters. Falling in love with someone you've known for years is possible. If you're a Dog that's already attached, lean on your partner this year. The unconditional love you receive from your mate will make your tail wag with pleasure. Single Pigs may choose to play the field during the Year of the Brown Earth Dog. Your charming sign could find the stabilizing energy of 2018 confining, and, as a result, prefer to remain footloose and fancy free. For patient Pigs who do want to find love this year, it's imperative to avoid romantic pitfalls you've experienced in the past. Pigs that are already attached, though, will feel a new level of closeness with their partners. 2018 is a great year for you coupled-up Pigs to enjoy creature comforts and take relaxing trips together. Discover what's coming in the next 12 months of YOUR love life now with your personalized 1-Year Astrology Love Forecast!